If visitors travels to Brunei Darus Sallam, they will notice one thing; the small towns are extremely clean! Kuala Belait, Muara, Seria and Tutong. It's quite expensive visiting Brunei because the Brunei Ringgit is peg to the Singapore Dollar and their per capita income is one of the highest in Asia. But tourists will find Brunei relaxing and peaceful and compounding this is the town cleanliness. One of them is Tutong. 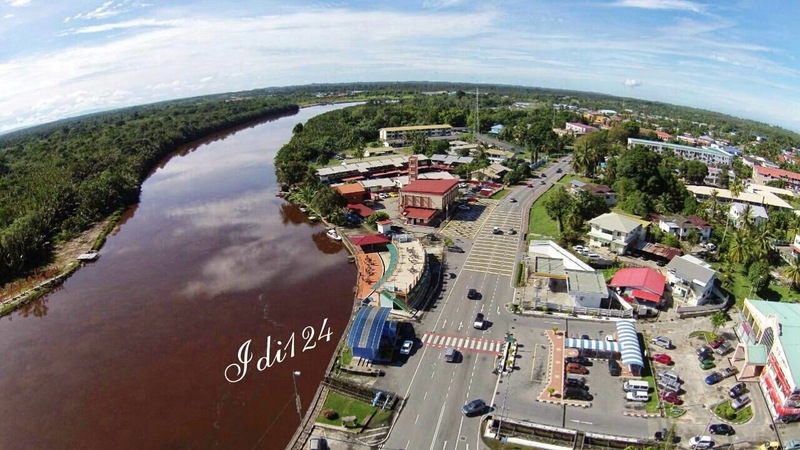 The district capital is Pekan Tutong with a population of 35,000 inhabitants. Tutong is also a unique district because it is the most multiracial place in Brunei. They even speak a slight variant from the Brunei Malay dialect. It is believed that the language is heavily influence by Kadayan and a little bit of Tagalog. One hilarious example is the word Ma'ang. In Brunei Malay it is described as Merah, which mean red. Tutong also have a large number of minority call Dusun. In fact, it is the only place in Brunei where their presence are felt. Many of them are Pagans but quite a number of them had converted to Islam and few had converted to Christianity. I had talked to many of them asking them where does the Dusun Brunei come from? Some of them claimed their ancestors were here even before the Brunei rulers became Muslim. That was in 1400 AD. Others traced their ancestors migrating to Tutong from the Moyog-Tambunan Valley in the mid-late 1800's. 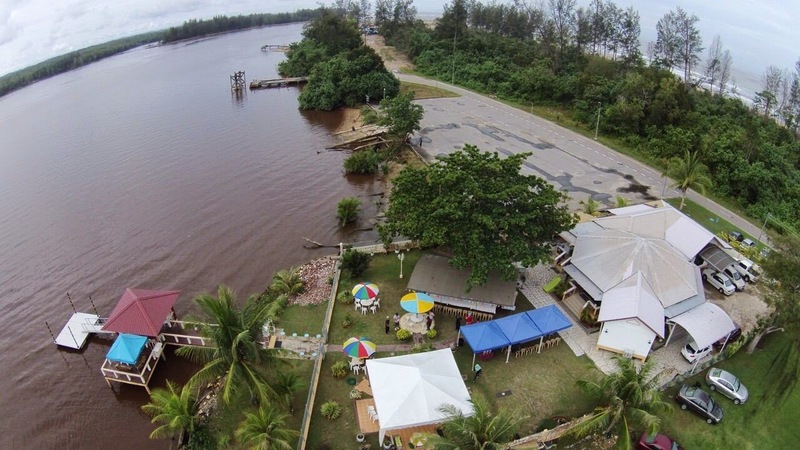 My uncle, who used the drone to take a bird-eye view of the Borneo landscape in Labuan and Kota Kinabalu took this breathtaking view of the Kuala Tutong. The view is majestic. The sea feed into the river mouth, detached houses along the river, and of course the beautiful town itself. Brunei is accessible by cars both from Sabah and Sarawak. 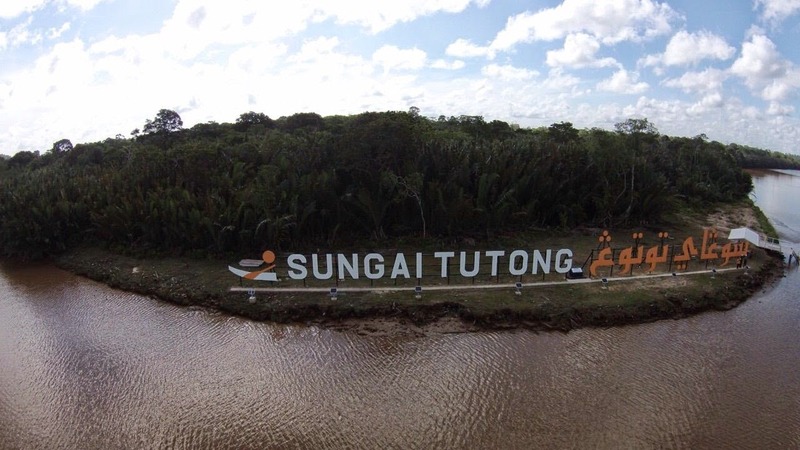 For peace of mind, visitors should drop by at Tutong at least once in their lifetime. 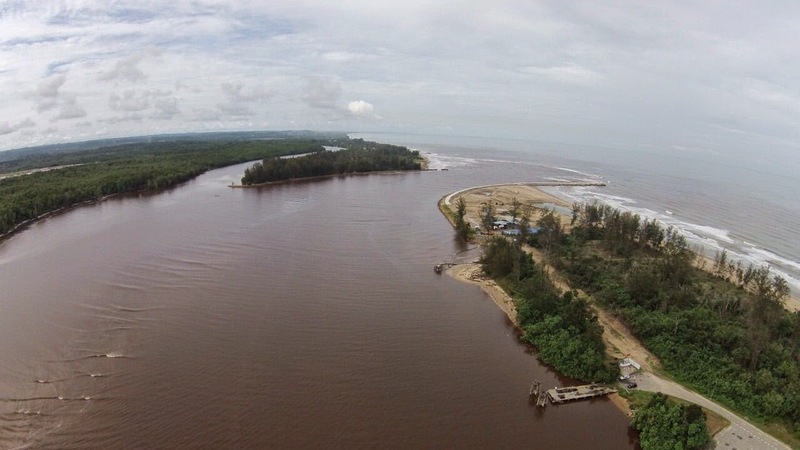 The top picture is the Kuala Tutong river mouth, the middle is detached house that is common along the river and below is the Pekan Tutong by the side of the river. Notice how clean the town is.